SACRAMENTS AND WORSHIP: The Sources of Christian Theology . Edited by Maxwell E. Johnson. Louisville: Westminster John Knox Books, 2012. Xvii + 422 pages. The sacraments and worship stand at the heart of the Christian faith. Everything we do is rooted in our worship of God, and the sacraments provide grounding for worship and serve as its expression. Having said this, it is clear that Christians are not of one mind when it comes to either worship or sacraments. Protestants have two sacraments, while Roman Catholics have seven. For some worship is extremely formal and for others quite informal. There is, you might say, some history behind this diversity of belief and expression, and Maxwell Johnson’s book provides the kind of resources that help illuminate this diversity. Sacraments and Worship forms part of a new series entitled The Sources of Christian Theology. According to the publisher, this series is intended to”provide resources for the study of major Christian doctrines.” Each volume in the series provides “essential elements of theological formulations about each doctrine,” with the editor of each volume providing an introduction and contextual material to better understand the nuances of these texts. The editor of this volume is Maxwell Johnson, a Methodist liturgical scholar teaching at the University of Notre Dame. He notes the influence of two other liturgical scholars who also have taught at Notre Dame, James White, himself a Methodist, and Paul Bradshaw, an Anglican priest. This convergence of Catholic and Episcopal (both Methodist and Anglican varieties) is evident in the layout of the book and the concerns of the editor. He believes strongly that history can be of great help in understanding our current liturgical and sacramental concerns. 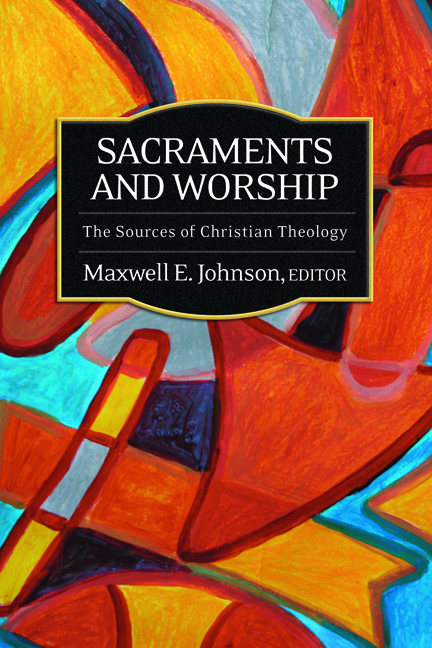 Johnson recognizes the need for some methodological caution, acknowledging that the development of sacramental and liturgical ideas and practices is not of a single line or trajectory, but they go in a variety of directions. One must, he notes, look at these ideas and practices both chronologically and geographically, going East and West. Still, there is a sense of the purpose and value of sacraments and liturgy that transcends all of these differences. There is, he believes, a common purpose that is expressed in a variety of ways, which has historical roots. There is a classic liturgical tradition that sees God acting in creation and with humanity “through means, instruments, and mediation, in ways that are described as both incarnational and sacramental” (p. xiii). Sacraments and liturgics, in his estimation, serve to express our theological beliefs about God and God’s relationship with the world. The book is composed of seven chapters, which take the user of this companion to theology, through seven points of interest. We begin with an examination – historically – of sacraments in general, continue on to look at liturgical theology, sacraments and rites of Christian Initiation (baptism and confirmation), the Eucharist, liturgies of the Word, Occasional Sacraments and services (penance, healing, marriage, ordination, and burial, to name a few), and finally “liturgy and time” (daily prayer and the liturgical year). 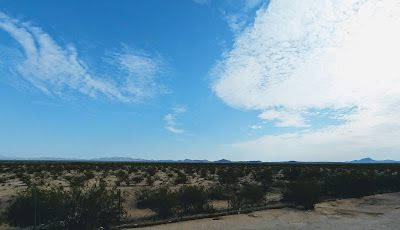 Each chapter of the book is given a brief contextual introduction, helping the reader get her or his bearings before taking what can be a rather meandering journey through time and place. To give a sense of the book’s patterns, I’ll focus on chapter 3, “Sacraments and Rites of Christian Initiation.” Johnson treats baptism and confirmation together, beginning with texts that emerge in the first three centuries. He starts with the relevant New Testament texts, and then moves forward through time and place. We start in Syria with the witness of the Didache, which gives rather explicit directions for baptism, followed by Justin Martyr and others. Then we move to Egypt and Clement of Alexandria, and then to North Africa and Tertullian, and then to Rome. From there we move into the fourth through sixth centuries, again moving from place to place. Of importance here is the witness of Cyril of Jerusalem and Augustine. Then we move into the medieval period, looking both East and West. Here we get more into actual liturgical texts, which will have important influence in the future. Moving forward we come to the era of Reformations, and here we have texts from Luther, Menno Simons, Zwingli (in response to the Anabaptist challenge), Calvin, the English Prayer Books, and the Council of Trent. Interestingly, he places Wesley at the end of this Reformation section, after Trent. From there we move into the modern period, where we engage a variety of texts from the Roman Catholic to the Protestant. Some seek to reinterpret and reinvest in the tradition while others, like Barth deconstruct it and call for the abandonment of infant baptism. As an adherent of a believer baptism tradition, I found the book to be fair to all sides. One has the opportunity to consider carefully where one’s own perspective emerges. We can see that initially there is little evidence of infant baptism, but also see how and why it develops and why it gets challenged. We also see how the church, as it embraces infant baptism, brings into play confirmation to shore up the connection of the adherent to the church. If there’s something missing here and elsewhere in the book, it’s the voice of the Quakers. Quakers lack the material substance of the sacraments, and have chosen this path very carefully. Its voice might provide an important contrast to the other voices. As a historian I always appreciate resources like this, for when carefully put together, they can be of great assistance to understanding the traditions of the church. As a pastor, I also find this to be of interest and value. The texts are long enough to give context, but brief enough to not overwhelm the person who is not as interested in history as perhaps I am. By making use of these resources, we discern where we fall in the history of liturgical practices. We might discover, as well, that there are resources here that will benefit the ministries of our churches, and perhaps even find permission to try new things. After all, this is not a static tradition. It has its roots and grounding, but evolves as well. There is in the development of this book, great care to provide for balance and to recognize the variety of expressions of Christian faith that are present in the world today and in history. If there is an agenda with this book, it is a concern that modern Christians might neglect the great resources present in history for enriching our faith journeys. That is, in trying to be relevant, we loose touch with our roots. We can be thankful to the publisher, its editorial board, and to the editor for providing us a useful set of resources so we can discern where we stand in the ongoing traditions of the church. And for those, especially younger Protestants, who embrace the principle of an “ancient-future church,” this is a resource to visit carefully and often.